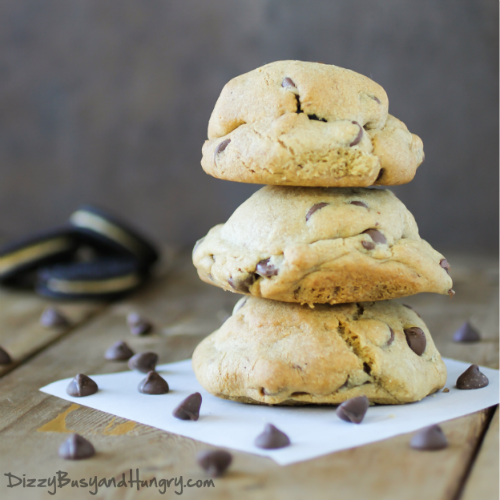 Today I found a cookie recipe that, well, is over-the-top decadent! It is a stuffed chocolate chip cookie! Stuffed with what, you may ask?